Maximize Your Income With Selling Your Own Products With Upsells And Downsells On An Industrial Scale! 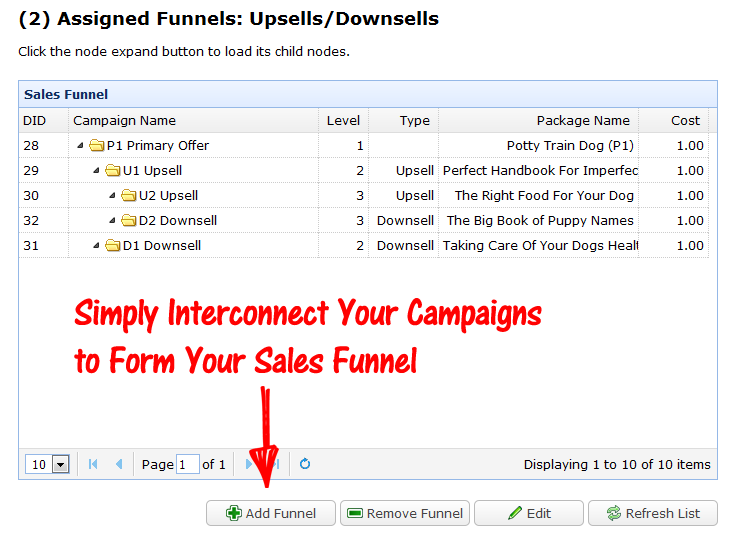 Create Unlimited Sales Pages With Sales Funnels! 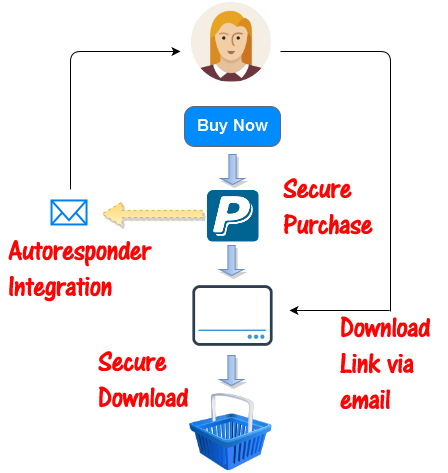 With simple copy and paste of the "buy now" button or even just a hyperlink and with nothing to install you can sell on any platform such as social media sites, web 2.0's etc and be sure of secure product delivery and integration to your autoresponder. You don't even need your own products. With tons of niches covered within our catalog and growing we have a great source of ebooks, videos and audios that you can use and sell at any price you want as well as combining it with your own private ones. It literally takes less than a minute to set this up within CB Clicksale, allowing you to focus on achieving awesome sales! Creating your direct sales campaigns within CB Clicksale is really easy and all done within four steps. Step 1: Add your product name and price. 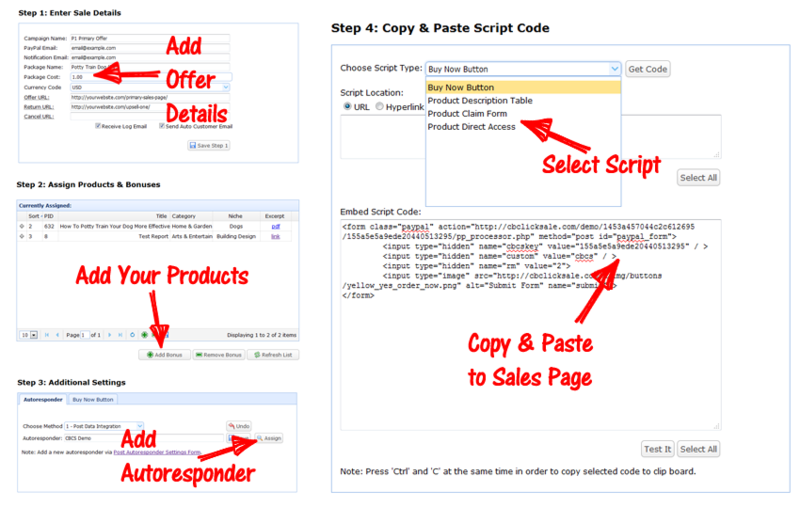 Step 2: Add your products either from the catalog and/or assign your own private ones. Step 3: Integrate your autoresponder with literally a click of the mouse. Step 4: Copy code to where you want to put it e.g. buy now button code, product claim form, download URL for your email confirmation etc. Take your direct sales campaign to the next level with inter-connecting your campaigns to form sales funnels, however long and complex you require. After an initial sale you can offer one-time deals such as highly targeted products as part of upsells or redirect them to downsells. It's all designed with ease of use and flexibility in approach with one simple aim of making you as much money as possible! Simple to Use Interface With Tons of Features! Creating sales funnels no matter how complicated has never been easier! 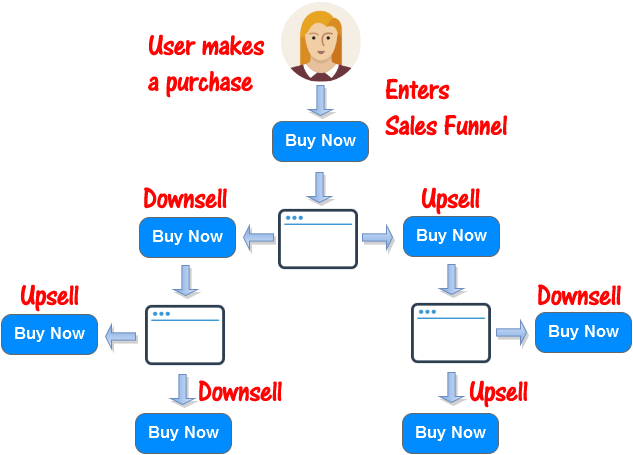 All you do is create each sales page and then interconnect them within a logical hierarchy which makes it extremely easy to visualize within the software and deploy. In addition you can be sure of secure product delivery and integration to your email list for continued offers and sales as part of your marketing strategy. Why Focus On Generating One Sale With Each Customer When You Can Achieve So Much More! The ease and simplicity of setting up direct sales as a bait leading to your sales funnel for further offers and profits on any platform means you can rinse and repeat and proliferate your online presence in way that's never been possible before. CB Clicksale's integrated approach to internet marketing means you can quickly turn cold traffic to red hot leads through our prospect and stealth remote commander campaigns allowing you grow and nurture a massive list. Use our different types of affiliate campaigns to offer bonus bribes for healthy commissions and combine that with selling directly with unlimited funnel levels and you've got a winning combination to making a solid living online. There simply isn't anything like this online. A fully interconnected, automated system that we're continuing to further develop and expand. With CB Clicksale and its arsenal of tools for making money online, you're literally only a click away from your first steps to true success online.